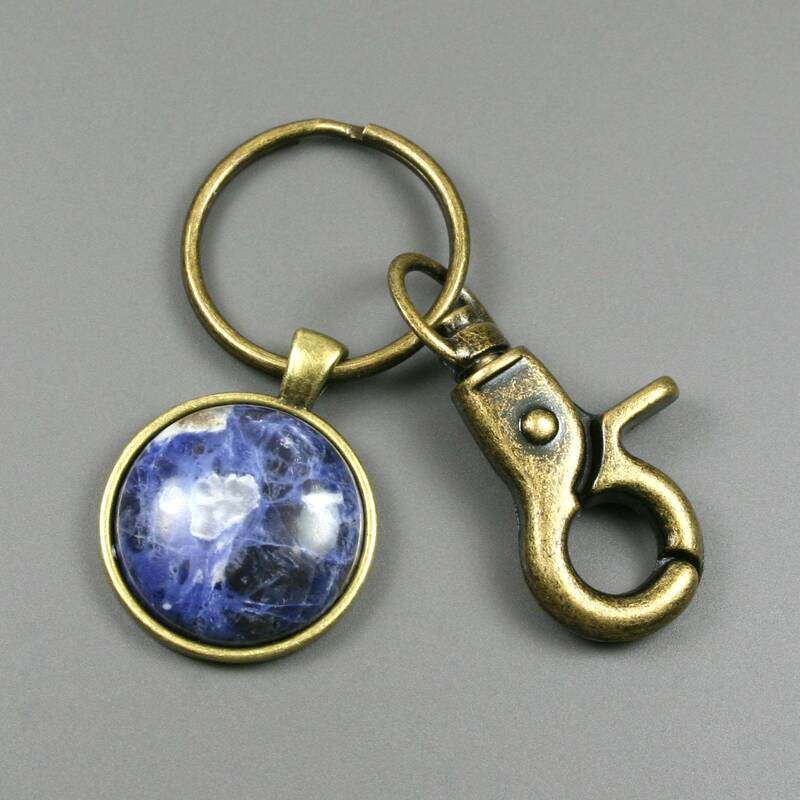 This key chain is made from a 25 mm round sodalite stone cabochon that has been set in a 25 mm round antiqued brass bezel setting and attached to an antiqued brass metal key ring with a swiveling lobster claw attachment. 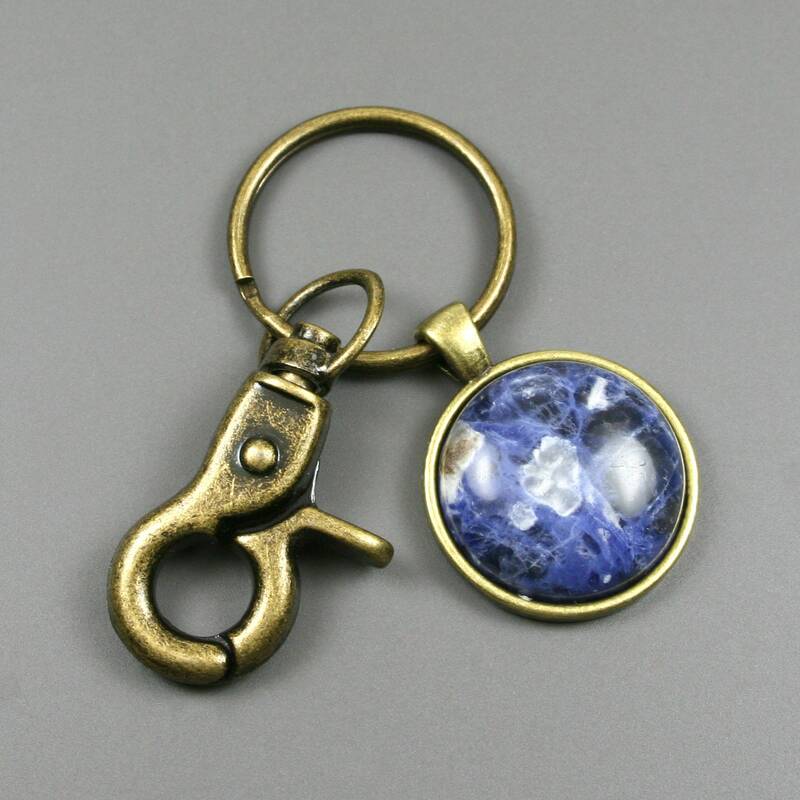 Sodalite is a blue stone that is generally a deep blue-violet color with white streaks of calcite. 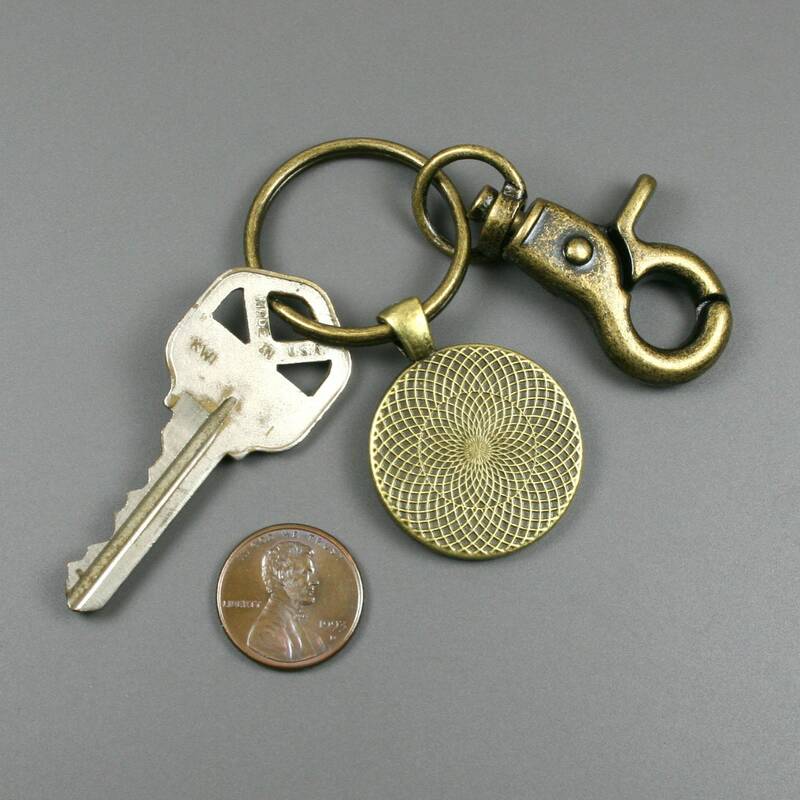 This stone is known for promoting intuition, guidance, and the focus of energy.